WE MANUFACTURE PRODUCTS WHICH DON'T EVEN EXIST YET! We are on vacation 2 July to 30 July 2018. Meet us at Alihankinta 2018 -fair in September 25th to 27th, stand A227. 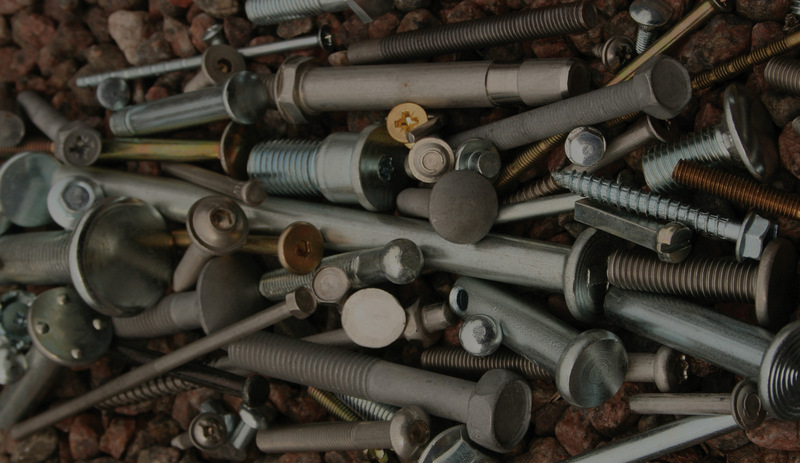 We manufacture screws, bolts, rivets, and pins, as well as other cold-forged products. As our customer you can request a specific size, form, and surface treatment for a product. We manufacture tailored products according to your specific needs and, when required, standardized items. As we at Finnbolt specialize in making products according to our customers’ specific needs, we manufacture products which don’t even exist yet. Size, diameter, and material can all be chosen by the customer when manufacturing products using the cold-forge method. Please contact us preferably already in the early stages of product development! Finnbolt uses up-to-date, fast, and automated cold-forge and threading machinery. This, combined with solid expertise, ensures high-quality products, flexible manufacturing, and fast and reliable delivery. All are factors that our customers have learned to appreciate during the years of production. 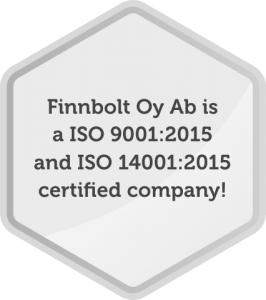 Finnbolt uses low-carbon steel, acid-proof steel, and stainless steel, as well as brass, copper, aluminium, and various alloys in its products. We don’t merely deliver suggestions, we deliver solutions. Finnbolt Ltd., founded in 1988, is a financially-sound metalworking company based in Uusimaa, Finland. Currently, we have a staff of 10 and a turn-over of approx. 1.7 million euro per year, of which approx. 15% comes from exports. Our customers are companies of various sizes working in construction, metal, plastic, and vehicle manufacturing.